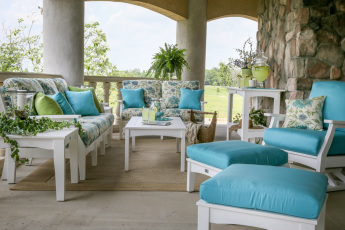 Our Classic Terrace Section is customizable in so many ways: pick the size, the fabric, the accessories! 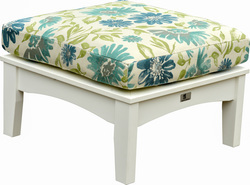 And the unit is pretty from the back as well as comfortable to sit on! 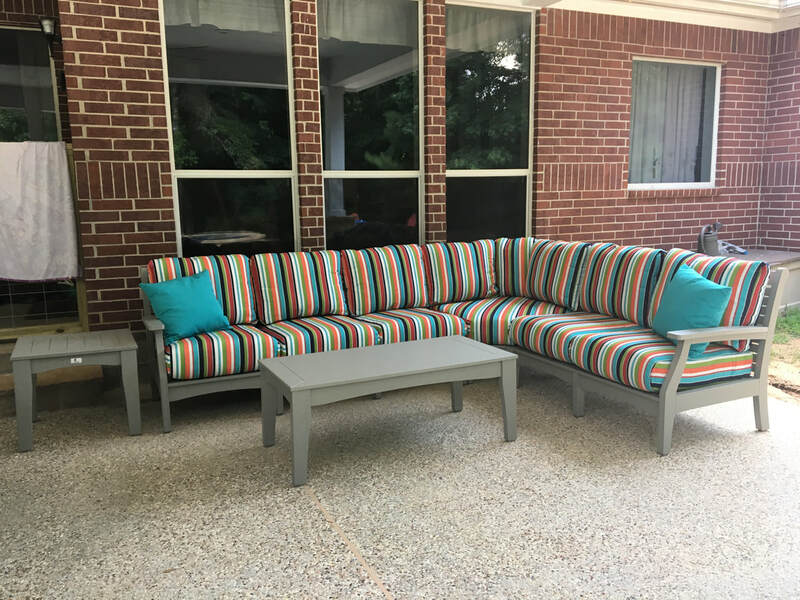 The smallest sectional configuration is $3937 - the largest sectional set up is $6775 and all sizes in between. 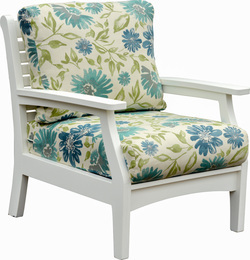 Classic Terrace Club Chair is available in your choice of frame color and fabric. 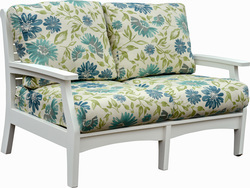 Shown here with a white frame and "Violetta Baltic" fabric $1127 a group C fabric. Frame with Fabric choices in the "B" group $1039. 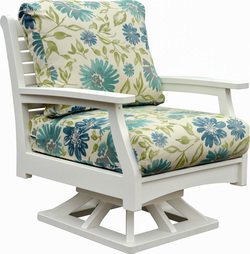 Classic Terrace Swivel Rocker shown here with a white frame and "Violetta Baltic" fabric $1494 a group C fabric. $1973 a group C fabric. 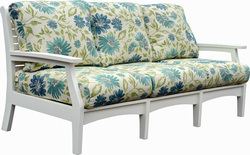 Classic Terrace Sofa shown here with a white frame and "Violetta Baltic" fabric C group $2808. $669. Choose white, black, chocolate brown, weatherwood, burgundy, light gray, or cedar. 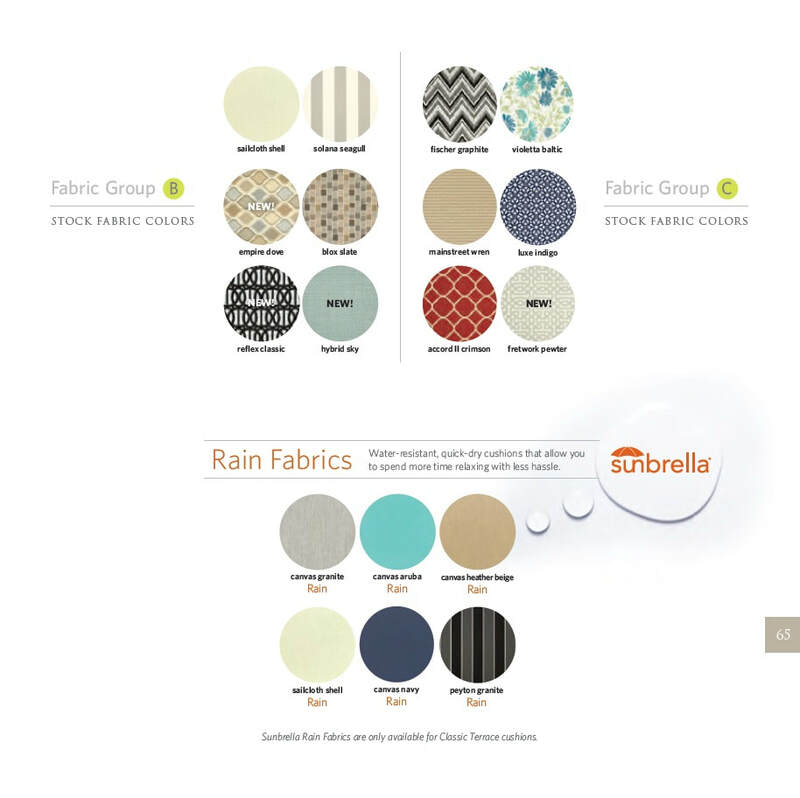 Choose your frame color: white, black, chocolate brown, weatherwood, burgundy, light gray, green, or cedar; and your Sunbrella fabric color and pattern. ​light gray, or cedar colors. 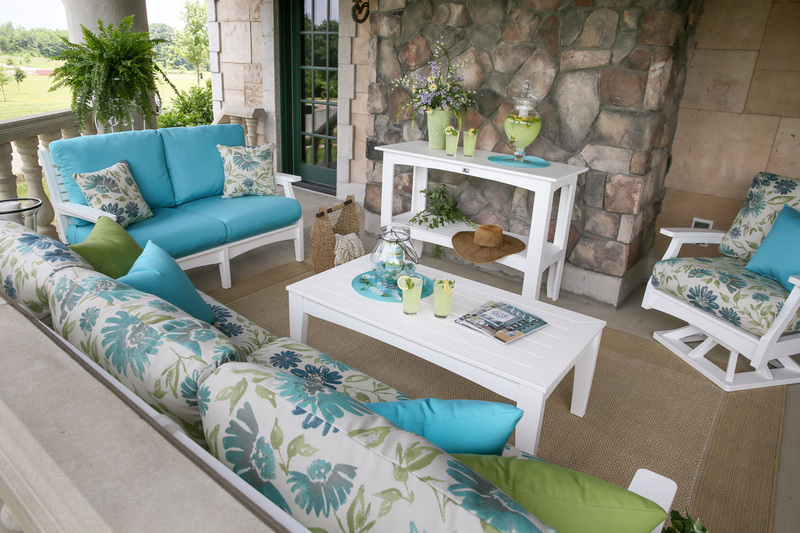 The Classic Terrace Square coffee table is available is all the regular colors $782 delivered and $767 in a box. 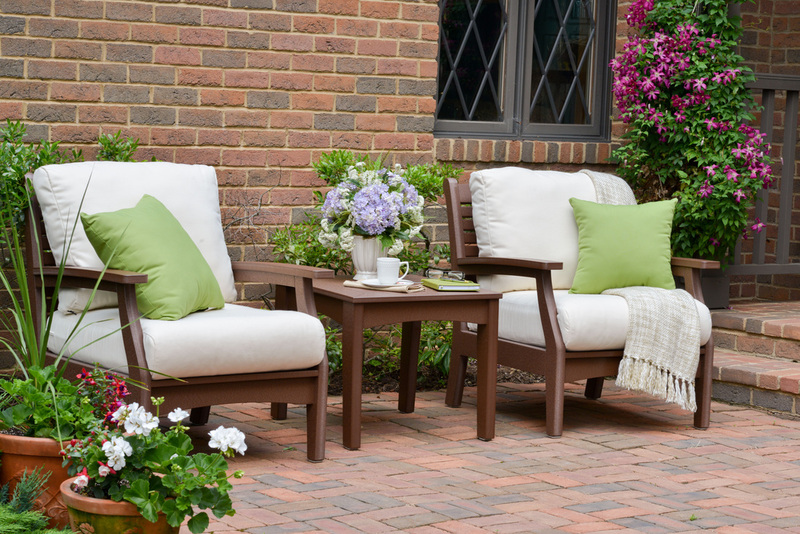 Classic Terrace Collection Club chairs and an end table with deep cushions for your relaxing and visiting pleasure. Create an arrangement that works best for you. 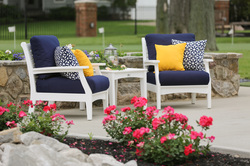 Classic Terrace Collection offers many elegant seating options. Choose your chairs, choose your cushions, choose your throw pillows. Accent with tables: coffee table, end table, buffet table. 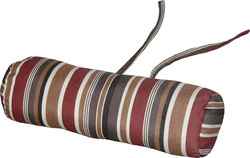 Neck Pillows are great with Adirondack Chairs and Gliders.